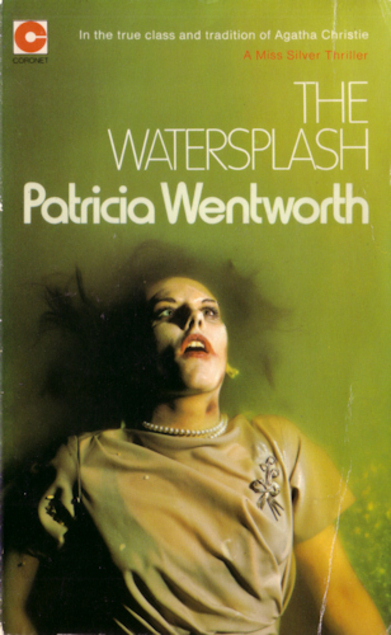 This entry was posted in Books and tagged Miss Silver mystery, Patricia Wentworth, The Watersplash, thriller, vintage crime by Katrina. Bookmark the permalink. You have a lot of Miss Silver’s to look forward to. From what I found on Fantastic Fiction ( https://www.fantasticfiction.com ), Wentworth wrote about 32 Miss Silver books as opposed to Christie’s 12 or 13 Miss Marples. Happy reading! I’ve read quite a few of them and at first I wasn’t sure about her, but now I’m always happy when she turns up! Going from that list I’ve definitely read 9 or 10 of them so plenty of fun ahead for me as you say! I bought a copy of this several months ago at a book sale, so I am glad you liked it. I like Miss Silver better than Miss Marple also, but I enjoy both. And I have only read a couple of the Miss Silver books in the last year, before that it had been decades since I had read one. So I will have to see if I continue to like the books. I think I read a few of her books years ago but have only fairly recently got back into them. I like Miss Silver so much more than Gladys Mitchell’s Mrs Bradley too, I find her really quite off-putting.